The LGBT Resource Center at GVSU is hosting a screening of an important documentary that explores the intersectionality of today’s most pressing social justice issues. 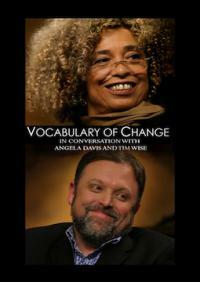 Angela Davis and Tim Wise, two of this country’s leading racial and social justice scholar-activists, join moderator Rose Aguilar onstage for a rare, unscripted and free ranging conversation on the state of contemporary global politics. They explore how our culture’s uncritical embrace of pervasive individualism, the myth of meritocracy and entrenched institutional inequality have led to racialized public policy, the privatization of education, health care and the environment, and the commodification of many of our basic needs, including water and food. Through bold discourse, wit, and an optimism of the will, Angela and Tim call for new vocabularies – a different kind of fluency and a different quality of literacy. With a shared reverence for historical memory and today’s activism, they invoke the power of a new language to restore clarity and to unify global communities. The reason Tim is not able to put a date on when it began is “The Tavistock Institute of Human Relations’ London, being the recipient of money from Rockefeller, around 1947, to fund mind control of the masses and individuals, created a insidious program that infiltrated all areas of control, including a base for MKUltra, distribution of LSD on victims chosen for this experiment, who being unaware of the consequences, as this drug had not had a wide exposure to the public. Eventually this institute its tentacles to far and wide, such as the Rand Institute, its a think tank for the manipulation of ideas to destroy any sense of Democracy, and to promote the destruction of holistic connection to the World, and create dysfunctional people.